Sophomore Dexter Anderson watched as fellow sophomore Jonathan Ramirez led off the Rowan men’s 4×200-meter relay. 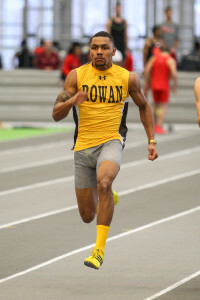 Rowan would win the 4×200 relay with a time of 1:31.93, beating out the next fastest team, host-school East Stroudsburg, by almost one second at the DeSchriver Invitational in East Stroudsburg, Pennsylvania on Saturday, Feb. 6. Days later, on Thursday, Feb. 11, sophomore Sam Maniglia placed first in the heptathlon at the Kutztown Mid-Week Multi, posting a university-record 4,197 points (he also set the previous mark of 3,487). Maniglia was the lone competitor for the brown and gold at the meet. 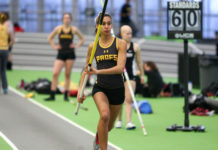 The Profs competed at the Molloy College Lions Invitational in South Huntington, New York on Friday. 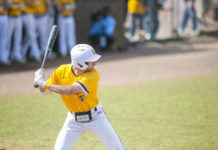 It was the team’s final meet before the New Jersey Athletic Conference Championships on Monday, Feb. 22. Next articleIf Rowan had a Tinder what would its biography say? Would you swipe right or left?